You have a precise idea? Let us help you achieve it. We manufacture custom packaging and offer bespoke solutions tailored specifically to your products. Those embossed tins, in aluminum or metal are coated with a clear varnish or printed on demand. You can customize them through embossing (relief), by adding a cap (plastic or tin) or a window to help your consumers visualize the packaged product. Desjardin has different models of square metal boxes adaptable to your needs. Desjardin has a number of different rectangular formats available. Email us your requirements: contact@desjardin.fr. 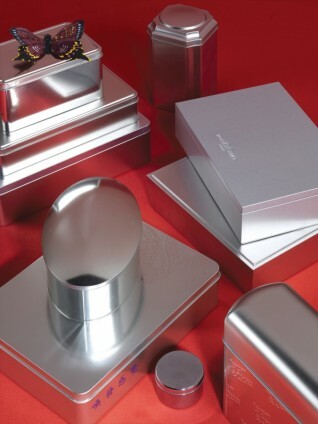 Desjardin offers several oval-shaped metal tins. Desjardin offers several heart-shaped metal tins. Desjardin has two types of sugar box: one with rounded edge and one with right angle edges.